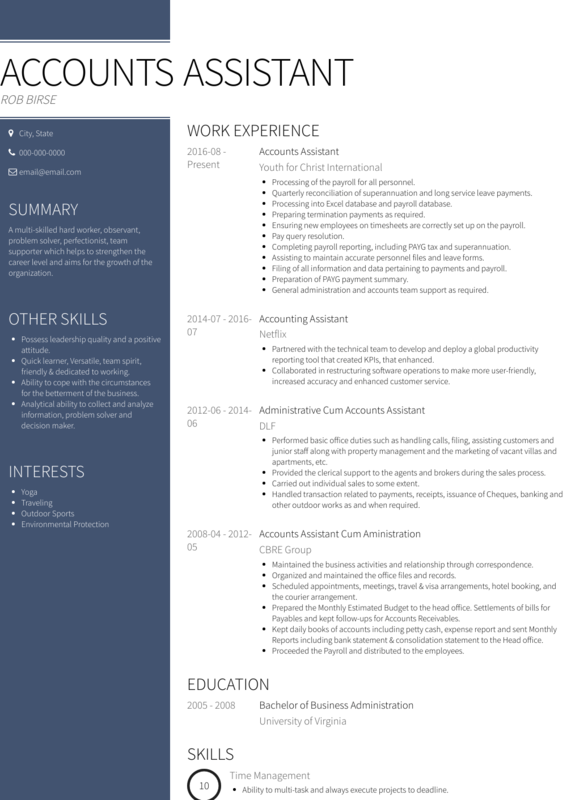 This page provides you with Accounts Assistant resume samples that you can use for inspiration in writing your own resume, or for creating one through our easy-to-use resume builder. Below you'll find our how-to section that will guide you through each section of a Accounts assistant resume. •Completed 100 hrs. Course of study in Informative Technology prescribed by Institute of Chartered Accountants of India.